Details: The project is coming up at New Alipore, Kolkata South spread over 7 acre of land. 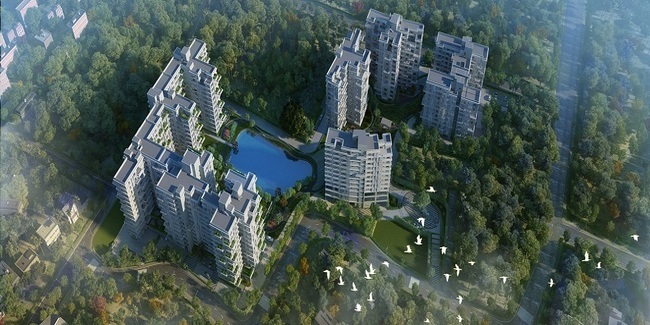 The project comprises 10 towers with G+12 floors, having 270 units of 3, 4 and 5 BHK apartments. Apart from basic amenities, the project offers Badminton Court, Aqua Gym, Jogging Track, Meditation Pavilion, Amphitheatre, Fitness Station, etc.